Thanks for visiting my blog. 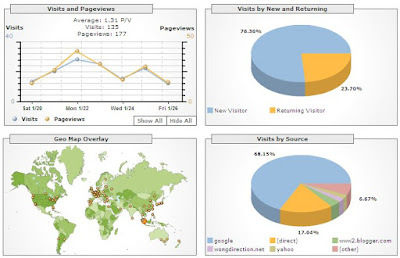 Here are a brief sumamry you can actually read off Google Analytics. Amazing is it not? I did not even know I have audience all the way from Europe and American! Wow! thanks for visiting me, I will work harder to make this place a good place and a good experience for everyone!